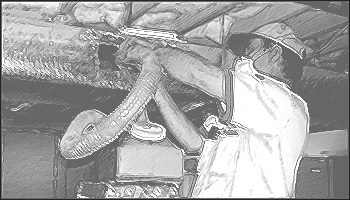 Our HVAC Systems Cleaner Liability (HSCL) policy provides coverage for the unique exposures that are inherent to Duct Cleaners, HVAC Service Firms and HVAC Mold Remediation Companies. HDCL protects against third-party claims resulting from specified professional services rendered by the policyholder. • Retroactive date of policy inception unless evidence of prior coverage can be provided. • Company Statement of Qualifications, including resumes of key personnel, a detailed description of past project experience, and training certificates for all company personnel. • Company written standard operating procedures (SOP), including an SOP for microbiological decontamination if those services are provided. • Standard company contracts. Contract must state that microbiological growth could reoccur if the source of the moisture is not remedied.